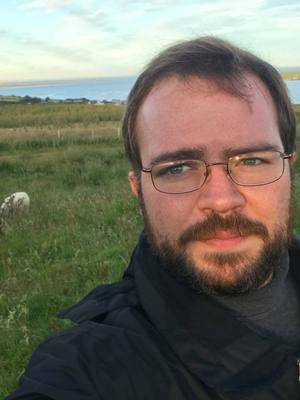 Christofer Johnson is a PhD candidate concentrating in folklore. He is primarily interested in the political agency of folklore and folksong in the Anglophone world, the cultural dimensions of power in the contemporary period and the way that cultural artifacts impact and shape the development of national identity. His dissertation work centers on the idea of cultural resilience and the self-conscious ways that communities (especially communities of work) adapt (or don’t), cope (or don’t) and change (or don’t) in the face of an increasingly globally integrated and connected world. Current projects include an ethnographic investigation of traditional island fishing communities in Scotland’s Orkney Islands with an eye toward community responses to globalization and the impact of uncertainty (cultural, economic and social) on community structures and individual conceptions of identity. Christofer also has a healthy interest in Scottish folk music and pub performances – particularly the politically charged variety. To this end, he is working on a side project concerning the afterlife of the Scottish Independence movement through a trio of politically radical pubs throughout the University of Edinburgh and Greyfriars district. “Where the Creel Boats Go: The Politics of Sustainable Fisheries in a Small Orkney Community," The Folklorist in the Marketplace, ed. Willow Mullins and Puja Batra-Wells. Advance Contract from University of Utah Press. "The Columbus-Copapayo Sister City Project: Audio Story" with Katherine Borland and Stephanie Aubry. The Ohio State University Center for Folklore Studies. 2016. “Diverging Pathways: Learning Standards Developments in the United States and United Kingdom,” with James Strickland. Caravel, University of South Carolina Press, April 2013.